Chocolate connoisseurs, have you been constantly looking for the best dark cocoa-rich chocolates in town and have been left disappointed? Let us introduce you to Brookside chocolates, the exotic, fruit flavoured dark cocoa-rich chocolate has become the talk of the town. Get ready to let your taste buds experience the best blends with a one-of-a-kind combination of dark cocoa-rich chocolate and exotic fruit flavors. Say hello to Brookside chocolates, now available & manufactured in India to attain a perfectly balanced dark cocoa-rich chocolate, filled with exotic fruit flavor combinations such as Blueberry and Acai, Raspberry & Gogi berries and Pomegranate, which we’re sure is going to be love at first bite. What makes it even more awesome is that these are not everyday fruit flavors, these flavors are imported from different parts of the world which means you only get the best. If you happen to be a wine lover, pair your wine with them to amp up your drinking experience. Blueberry and Acai blend perfectly with Red wine whereas the Pomegranate accentuates the flavor of Rosé and White wine. Red wine along with Goji Berry and Raspberry flavor is all about sophistication and great taste. 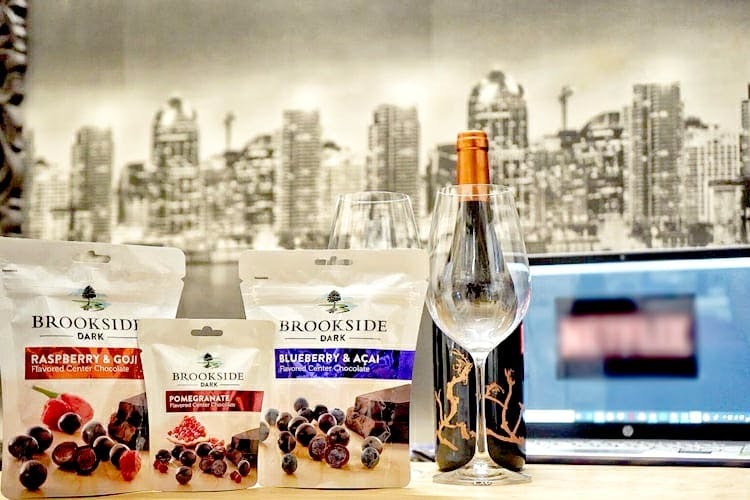 Last minute gifting options, cheat day indulgence and movie marathons, Brookside dark cocoa-rich chocolates make the perfect gifting and snacking partner. Best part? They are economically priced, starting INR 50 and available even at your nukkad wali supermarket. They are available at chain stores like Big Bazaar, Spencers, More, Dmart etc. You can also order online on Big Basket, Amazon & Grofers.